In recent articles on Techzim, we published the current regulations on UAVs (drones) in the country, highlighted the major do’s and dont’s of the laws, and opined about some interesting potential applications and uses of drones in Zimbabwe. The first two articles acquainted readers with drone laws as they currently stand. The last one, about the uses, opened up readers to new of imagining this fascinating brand of technology, and in discussions that followed, brought together people from different backgrounds around a common technology. But how do you fly one? This is the question that came up – or remained outspreading – from the early coverage since the publication of the regulations. Where can one get trained to pilot a drone in Zimbabwe. Such a question that apparently should have a simple answer, has a complicated one. Basically, the regulations that are in place are not yet law, pending finalization of promulgation of the CAAZ draft. Because the law has not come into effect yet, there also are no places to learn drone piloting. At least not yet. That is a challenge that will be addressed soon, when the law comes into existence. But is the industry looking promising, like it can take off? Is the economic situation of Zimbabwe conducive to growth of such a niche, but investment-intensive industry? What is the outlook of insiders? Is you have questions such as this, keep reading. We have consulted a Zimbabwean expert, someone experienced and knowledgeable about the industry. South Africa-based Lovemore Musoni is a commercial pilot who flies aeroplanes and gyro-planes commercially. I fly drones for Reserve Protection Agency. We do some work for game reserves work like assisting in game counting, aerial surveillance (anti poaching work), site planning, monitoring fires, etc. Do you ever plan to bring back your skills and experiences to Zimbabwe? Yes I do. I have brought some of my unique flying skills to Zimbabwe before. I also fly gyro-planes (sometimes referred to as gyro-copters) and started a project as Eagle Eye Aviation, to bring the operation of gyro-planes to Zimbabwe as an alternative to helicopters. We faced some challenges and decided to go back to the drawing board. We will bounce back soon. I will engage various captains of industries and help them realize that drones can be used in any industry including sports, entertainment, security, conservation, transport.. the list is endless. For an existing flight training organisation to apply to train drone pilots, they need to fork out thousands of dollars and to design their safety management system, operations manual, quality control plans etc. A new player would need tens of thousands of dollars. So one has to think twice before s/he decides to invest in such an industry when the demand for the use of the drones is still low considering the fact that it takes only a couple of hours for one to be proficient. Is it easier in South Africa? First and foremost we must appreciate that drones have been around for over a decade but were relatively inaccessible. The increased availability of drones demands that there should be a legislation to govern their use and operations. The CAAZ legislation requirements are really what we, who are in the industry, would expect. All aircraft operations have similar requirements. However, for someone who just wants to fly a drone as a hobby, the requirements are a nightmare. In South Africa, if you want to fly a drone as a hobby, you don’t need to be licenced, you don’t need to register your drone neither do you need documentation such as operating manual, safety management system, quality management system etc. The South African regulations differentiate between hobbyists and those doing it for commercial reasons. Clearly, there are challenges for anyone trying to set up shop. But do you see any opportunities – especially commercial opportunities for entrepreneurs? If so, where exactly do you see opportunities as far as drones are concerned in Zimbabwe. Yes there a lot of opportunities in Zimbabwe. 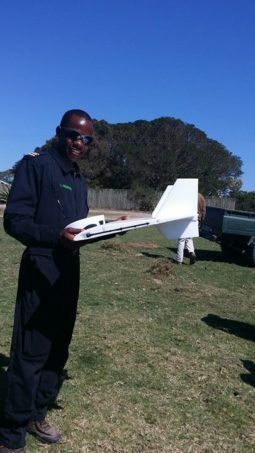 Drones can be used for aerial photography, power line, railway line and pipeline inspections, to help coordinate security operations, surveillance, aerial video (for example covering a cycling race), protecting wildlife and farm operations like herd count, to name just a few..
Zimbabwe is all about tongai bob tongai. Creating laws dzekudzwanya dzwanya. Interesting. Pathetic how we lag behind other countries in the region. I attended an athletic event over the weekend in Botswana where they had a drone doing photo and video coverage of the event.